A lot of beautiful things are happening this August! Aside from being my birthday month, there are also lots of sale events, and one of my favorite is Robinsons Department Store's month long Beauty Fair!!! There’s no better time for a total beauty makeover than this midyear, as your most-loved shopping destination celebrates August with a beautiful treat. With as much as 50% off on your favorite grooming and personal care essentials, shopping at Robinsons Department Store this whole month is definitely a pretty proposition. I myself experienced it first hand last week, as I shopped for my favorite beauty products and skincare essentials. Here are photos from that super fun day! I visited RDS Galleria branch and checked out all the items and brands on sale this whole month of August. Check them out below! From 10% to 50% off!!! And since the most effective beauty secret is a smile, Robinsons Department Store gives its shoppers a handful of reason to be happy. 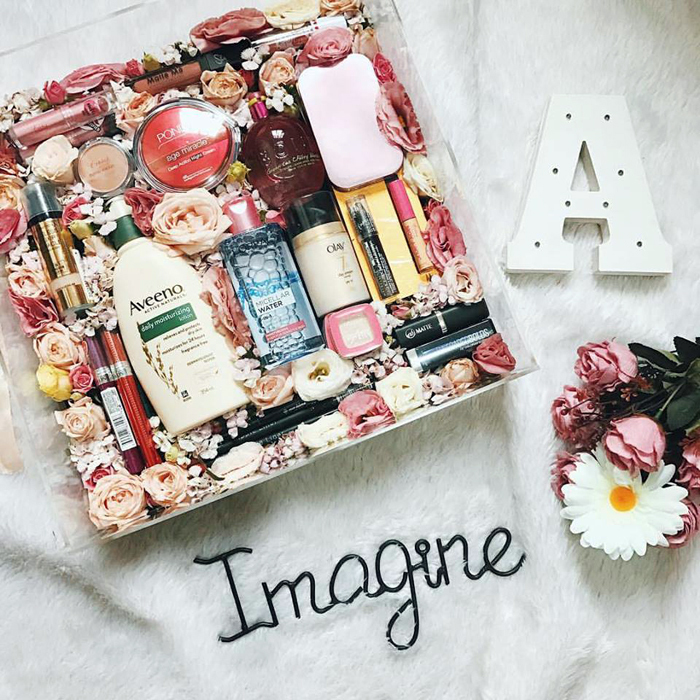 P100,000 worth of shopping spree await one lucky winner, while 10 lucky winners get a chance to bring home P10,000 worth of gift certificates, with every P2,000 purchase from participating brands such as Pond’s TRESemme, Dove, Olay, Pantene, Revlon, Maybelline, L’Oreal Paris and Ever Bilena! So many products on sale from Maybelline!!! P50 off when you buy their Hypercurl Mascara! Some of the products and brands on sale! Max Factor lipsticks are also on sale! P300 moisturizing lipsticks. Love the colors! One of my favorite brands has so many items on sale! P300 lipsticks also! Waaaah! Time to hoard! The best part? True Match is included!!! 25% all items!!! I use their Matte Me powder, so I'm so happy! OMG my favorite True Match concealer is only P225!!! Of course, had to hoard! On sale for P300 and then less 25% off pa! Up to 25% off their brushes! 50% off for every purchase of any Face or eye products! Don't forget to bring your Robinsons Rewards Card when you shop at the Cosmetics and Perfumery and Personal Care departments! You get to double your reward points on August 1, 8, 15, 22 & 29 from 10am to 2pm. Plenty of perks and privileges await!